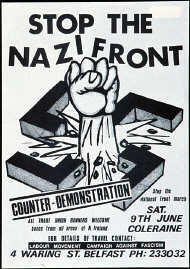 This poster comes from the early 1980's when we initiated a successful campaign against the National Front, the largest fascist group here, in it's main base, Coleraine. The protest brought hundreds of socialists and trade unionists onto the streets to protest against the NF. 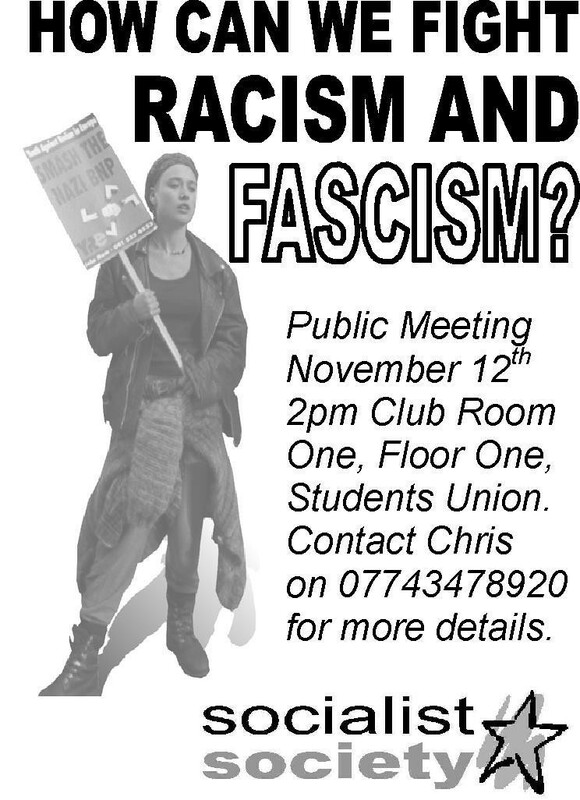 The lower poster was used by the Socialist Society, our group in Queens University Belfast, October 2003. There had been a rising number of racist attacks in the area, see the Dec. 2003 issue of Socialist Voice for an article on this. Two posters, reflecting our anti racist, anti fascist activity over a period of 20 years. Thankfully there are few organised racists here, but it must be stamped down.